I was 11 when I first heard Dr. Dre’s “Nuthin’ but a ‘G’ Thang” and — despite being a prepubescent, white kid from the less-than-hard-knock streets of Pueblo, Colorado — my life was never the same. Hip hop struck a chord in me: a rebellious, artistic and just-go-out-there-and-get-it chord. X gon give it to ya. [Forget] waitin’ for you to get it on your own. X gon deliver to ya. Suddenly, it all clicked. 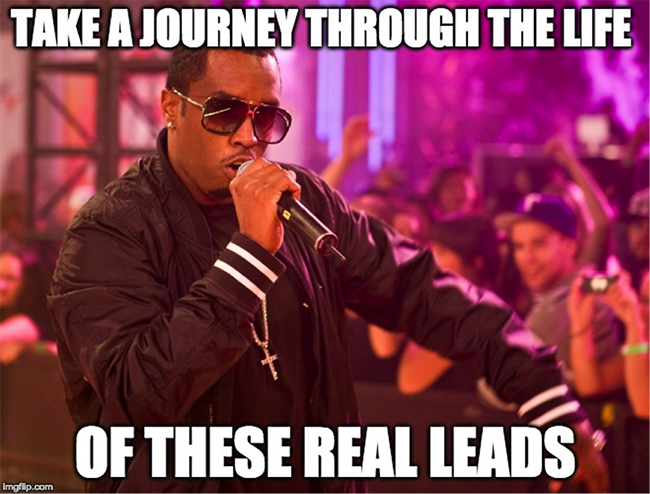 What does hip hop have to do with landing pages? 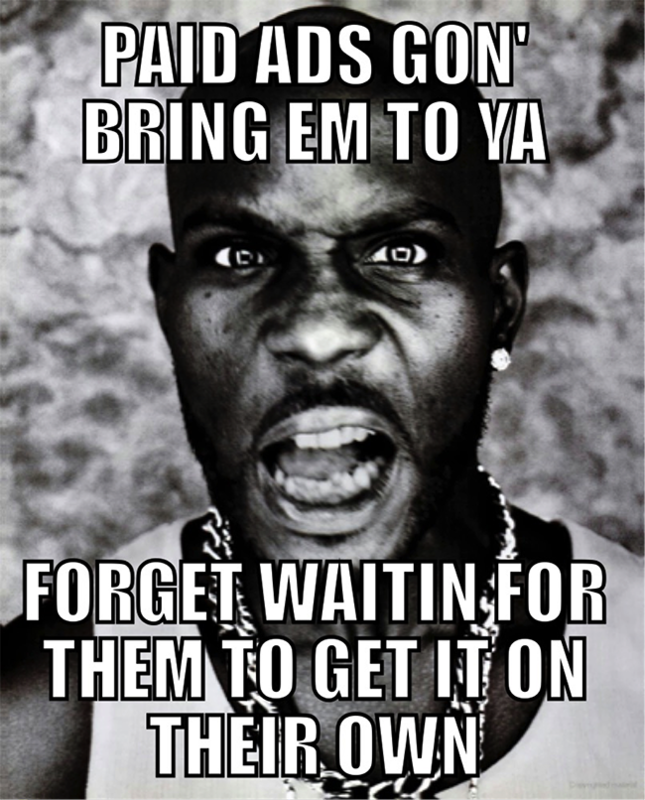 That’s why I’ve put together these five data-driven lessons (and oh-so-sharable memes) straight outta hip hop’s most iconic lyrics to prove to you that everything we both know about landing pages, we learned from hip hop. Paid advertising gets a bad rap… pun intended. There’s myth running around that free traffic (i.e., SEO, email marketing, social media marketing) is the “smart” conversion rate expert’s go-to strategy. Why pay for leads when you can get ‘em for free? Because paid advertising can buy you higher-converting leads… when you know how to use them right. The key is understanding the searcher’s intent. “What is the best way to [specific product feature]?” and “How much is [specific product or service]?” are two very different searches and require different ads. The first is a research question and your ads should be offer educational content. The second reveals a person who is ready to buy, but is concerned about price, which is where guarantees and comparisons shine. Think about what people are searching for when they are going to buy your product. Don’t come up with keywords like “best online golf store.” Nobody searches for that. They are searching for a product, and we want to bid on product-based keywords. Get acquainted with your audience’s longtail keywords. SparkPay’s Hitchhiker’s Guide to PPC and Jeff haden’s 8 Ways to Find the Best Long-Tail Keywords are great starting points for the uninitiated. Longtail keywords cost less, while giving you better targeted leads from the jump. Optimizing your landing pages isn’t just about optimizing your landing page. It’s about stepping into the shoes of your leads and guiding them through a journey (i.e., your funnel): moving someone from your paid ad, to your landing page, to your follow up, to your offer. Track it like a robot. Your paid ad is the opening gambit. This means it all starts with them — high-intent keywords — rather than you. Your landing page — especially, its headline, subheads and CTA — must all build on that opener. That singular thread is what Unbounce’s Oli Gardner calls conversation momentum: maintaining the same conversational style and tone across all campaign channels. This means matching the phrasing of your ad with that of your landing page copy (message match), and maintaining the same tone and design. And as obvious as it might sound, your messages themselves have to be authentic. Real-life journeys are full of emotions. Avoid jargon, and, above all, tell a story. This allows you to determine which parts in the journey have the highest drop off rate, and give you the information you need to optimize areas with the biggest potential for improvement. A powerful CTA button is the acme of CRO. Knowing that, the temptation is to overdo it. 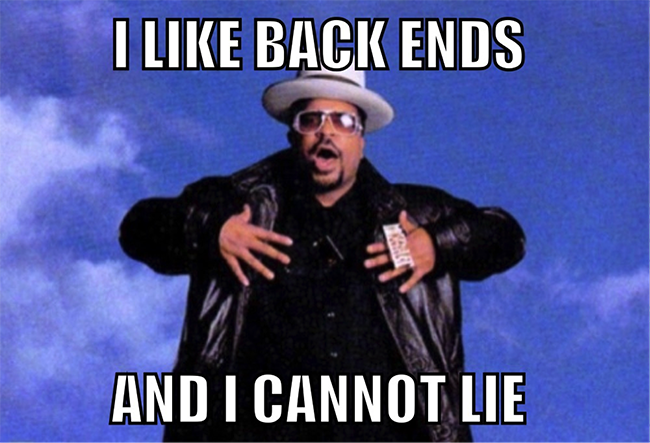 If you’ve created multiple CTAs but struggle with conversions… I feel bad for you son. The truth is more buttons do not mean more conversions. 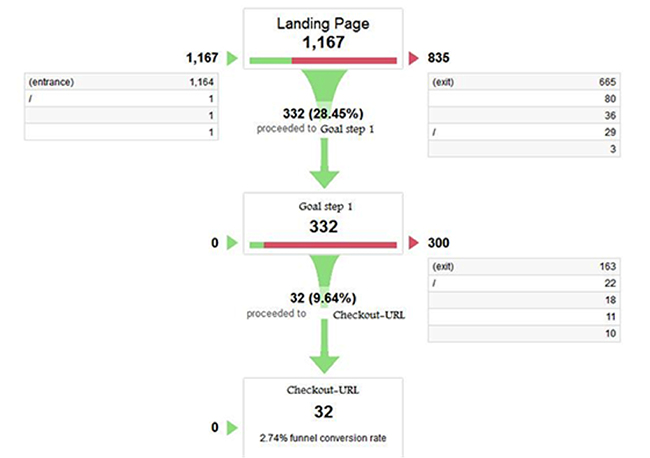 In fact, when Unbounce reduced the number of registration options for their Master Unbounce in 30 Minutes webinar by eliminating just one excess CTA, conversions increased by 16.93% with 100% confidence. What does this mean for your landing pages? You’re not being clear about what the exact next step is. With so many options to choose from, people find it very difficult to choose at all… even if we manage to overcome the paralysis and make a choice, we end up less satisfied with the result of the choice than we would be if we had fewer options to choose from. When it comes to landing pages, Oli Gardner calls this “attention ratio:” the ratio of links on a landing page to the number of page goals. And Oli explains that it should always be 1 to 1. Why? Because every campaign has one goal, every corresponding landing page should have only one call to action – one place to click. They look like buttons that can be clicked, with contrasting colors and other affordances. What makes a landing page convert over the long term? The secret is mixing in a lot (wink wink) of targeted follow-up, based directly on the information you gathered from your leads. In a word: the backend. Backend is a sales and marketing term that refers to what happens after your customer’s initial opt-in or first purchase. This includes lead nurturing, customer retention and upselling. Cart abandonment: The average ecommerce site can expect cart abandonment rates of around 55% to 75%… so why not send personalized emails to give prospects a friendly reminder? In a classic case study by Marketing Experiments, Smiley Cookie was able to regain 29% of its abandoned carts by reaching out within 24 hours. First purchases and upselling: Crossing the threshold from lead to customer is huge. And in the excitement of that moment, many business fail to keep the purchase-ball rolling. Immediately follow up with customers, guide through the onboarding process, and think of ways you can upsell them with items that supplement their purchase. Reviving the “dead” lead: Dead leads — visitors who opt in but never actually purchase — can give marketers anxiety. But there are simple thing you can do to rekindle your relationship (it could be as simple as a magic nine word email). While designing your landing page with a “one shot, one opportunity” mindset might sound inspirational… it’s decidedly bad business. Remarketing is a form of advertising that uses pixel or cookie-based technology to “tag” specific visitors and present ads to them based on their previous visit. Essentially, these ads “follow” your visitors when they leave your site and are displayed to them on other sites, most notably, on YouTube, Google Display Network and Facebook. Retargeting ads have a 10x higher click-through rate than display ads – and visitors subject to retargeting are 70% more likely to complete a conversion compared to non-retargeted visitors. If you’re just getting started with retargeting, check out this post by Johnathan or grab HubSpot’s A Beginner’s Guide to Retargeting Ads. Create remarketing ads with as much specification as you do PPC ads: focus on retargeting ads that highlight specific products based on specific pages. In other words, don’t retarget your brand or site… retarget exactly what your visitor showed interest in. Use psychological tactics like social proof and urgency to draw clicks from pre-exposed leads. Select your channels strategically. Place remarketed ads where your audience is most likely to be thinking about your product. 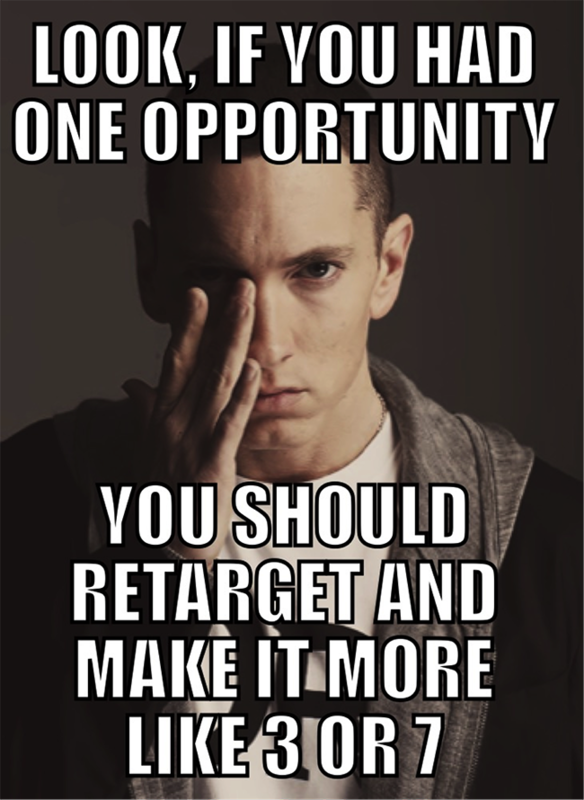 Lastly, don’t be afraid to retarget converted leads with upsells. Fun, games and punning aside, hip hop is an amazing resource for learning how to dominate your landing pages and entire online sales process. I’d love to hear your own favorite lyrics and lesson in the comments. Oh, and don’t forget to add a meme.